I also want to use this posting to remind all our MA and MPhil/PhD students in History of Art about the London Art History Society Research Fund for 2016-17. We gave out details about this at the induction evenings and via email – but do keep this fund in mind. It’s available to help support our postgraduate students in undertaking research towards their dissertations. Students from any of our Masters programmes are able to apply for up to £150, and MPhil/PhD students for up to £300 – we allocate the money on a first come first served basis, so do apply before it runs out! If you need financial support to undertake a trip to an archive, or a collection, or if you could do with help with costs such as photographing works of art which you’re currently researching, then do put in an application. Full details are available here. We’re very grateful indeed to the London Art History Society for generously providing these funds to help our postgraduate students – and don’t forget that they organise a rich programme of events, which I highly recommend you keep an eye on! This coming Saturday (26th November), for example, Dr. Glyn Davies, curator of late medieval sculpture at the V&A and co-organiser of the museum’s current Opus Anglicanum exhibition, will be giving a lecture following the Society’s AGM: ‘The Power of Pygmalion: Secular Stories on Medieval Caskets of Ivory and Bone’. I hope everyone has had a chance to drop in and see the latest exhibition in the Peltz Gallery, as they’ve been coming in and out of the building over the last few weeks? A Museum of Everyday Life: Cinephilia and Collecting has been on since 7th October – but, if you haven’t yet had a chance to look around, it will be there until 27th January 2017. 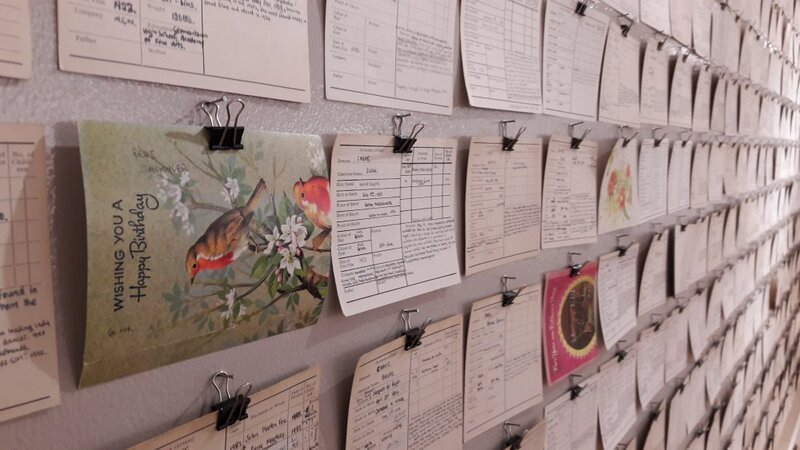 The display consists of a varied array of intriguing objects from the collections of the Cinema Museum – a museum of cinematic ephemera in Kennington, South London, which has to be visited by appointment. 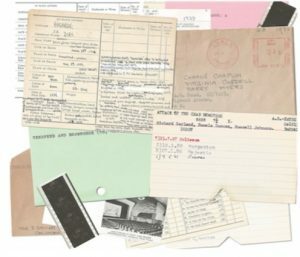 These are the relics of dedicated film enthusiasts – their personal archives and records – their indexes and scrapbooks. Graham Head, an amateur projectionist in the 1940s and 50s, with a cinema in his back garden in Hove, Brighton, for example, would clip squares of celluloid from every film he showed. These are collected in little brown envelopes. Vic Kinson, meanwhile, built up a collection of around 36,000 index cards, recording details of film stars: their careers, and their personal lives. You can read more about the exhibition here, in Sight & Sound. Fascinating – and not to be missed! 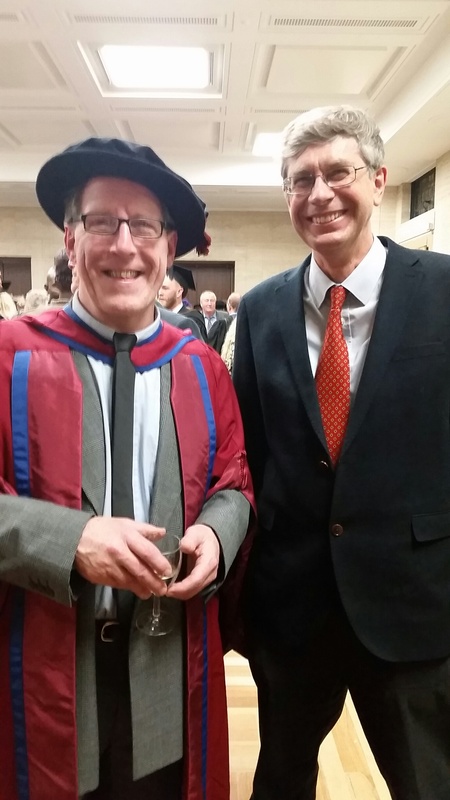 Not only will Birkbeck be providing funding for places on these courses of study, but the College will also be offering a programme of additional support alongside, to help the students settle into life at Birkbeck, and the UK educational system more broadly. The Master of Birkbeck, Professor David Latchman, has declared this to be a “fitting continuation” of the mission established by our founder, George Birkbeck, nearly 200 years ago: “to bring education to every Londoner who wants to better themselves, regardless of means or background.” You’ll have seen George Birkbeck’s face around the main Malet Street building, as well as his famous declaration (well, famous to us in the College, anyway! 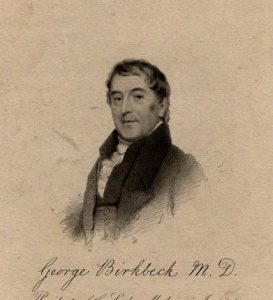 ): “Now is the time for the universal benefits of the blessings of knowledge.” Mr. Birkbeck would be proud – and we are very proud indeed of the commitment and hard work of Leslie and her colleagues, which has helped to make a truly inspiring idea a reality. 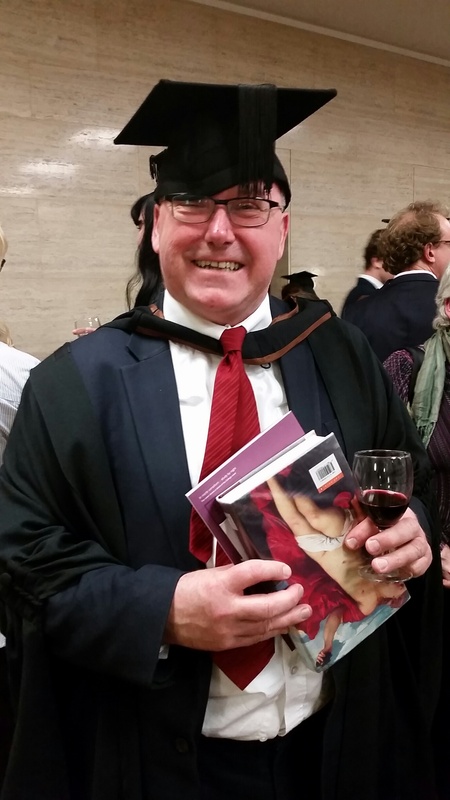 – and David Daly (BA Hons History of Art) managing to keep hold of both a glass of wine and an art history book! So impressed to see a student still at the books, even on graduation day..
At the start of the week, I was delighted to be able to send around more information about our Careers and Employability programme, being run for History of Art students in 2016-17. Thanks to a generous award from the Birkbeck Alumni fund, and the hard work of Mosh Aboobaker and his colleagues in the Careers and Employability team, we have been able to lay on this special programme for students in the department, designed to help with career options, skills, and connections with key institutions and industries. We’re now encouraging students to sign up for the first part of the programme: a series of six workshops, running from later this month through to late May 2017, covering a variety of important topics – from career possibilities in the Arts, through use of social media and internships, to CVs and interview techniques. You can find full details on this flyer. Do go to the eventbrite page, and sign up for as many of these free, hour-long events as you can. You’ll see we’ve arranged these as one hour sessions from 4-5pm, in the hope that people will be able to fit them in before classes. It’s a great opportunity, to take advantage of specialist advice, particularly tailored to History of Art students. It’s also important to the department that these go well, and have good attendance, as we can then make a case to run this programme again in the future! The programme is primarily designed for BA and Graduate Certificate, and MA students in the History of Art department – but we’re also making the sessions available to any Cert HE or MPhil/PhD students who may find them relevant. 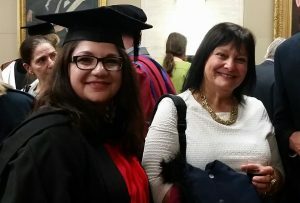 We’re also currently working on developing a series of ‘masterclasses’ with alumni who have used their Birkbeck degrees to good effect – and are developing a workshadowing programme, with a view to giving students the opportunity to spend time with alumni at their current places of work, to learn more about various careers in the Arts at first hand. Watch this space! * Then, the following week, early period colleagues will be running not one, but two events! The next Murray research seminar is coming up on Thursday 24th November at 5pm (Room 106, School of Arts): Dr. Pippa Salonius will be speaking on the topic of ‘Authority, Nature and the Image’ in medieval art and culture. 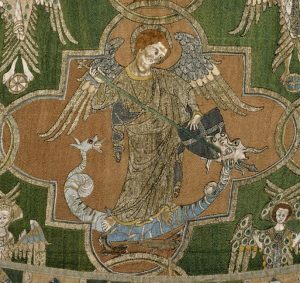 Then, the following day, Friday 25th November, there will be a one-day interdisciplinary conference on Medieval Textiles: Meaning and Materiality, also supported by the Murray Bequest. 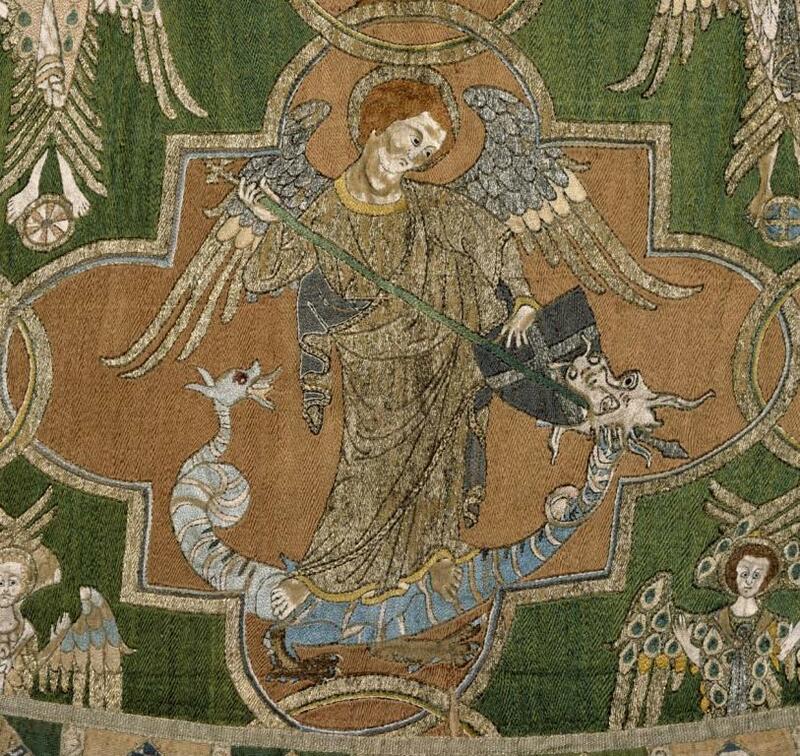 Prompted by the V&A Museum’s current exhibition of medieval embroidery, Opus Anglicanum, this event will be bringing together leading and emerging scholars working on questions of meaning and materiality in medieval textiles – both real and imaginary. I was delighted to be sent the piece in the Guardian today, written by an alumna of our MA History of Art programme – Inga Fraser. Do have a look at her story, about how her Masters degree helped her to develop her career. But I’m now going to hand over the final part of this blog to one of our current MA students, Sunil Shah. As well as working towards his Masters in History of Art, Sunil also works as an artist, and a curator…. 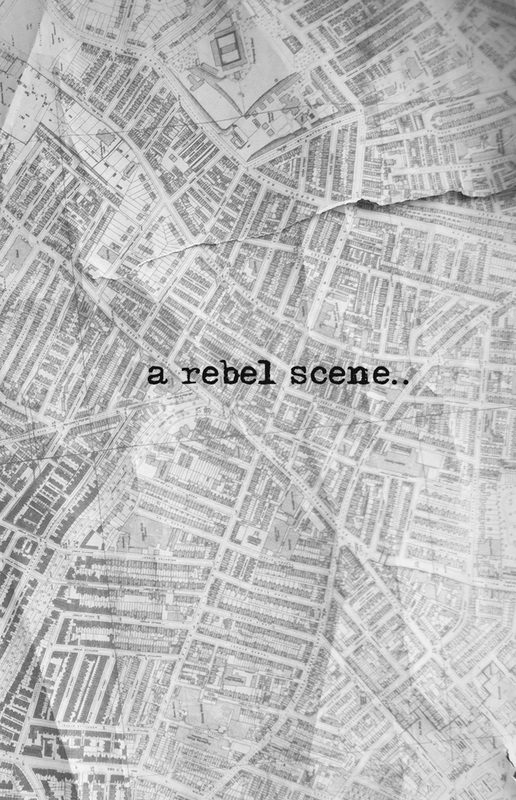 “As an independent curator, artist and a student on the History of Art MA programme at Birkbeck, it is always useful when you can draw your academic research into the real-world scenarios you face as a practitioner. Earlier this year I was co-commissioned by the New Art Exchange in Nottingham for a social engagement project that supplemented a thematic exhibition about street art, protest and activism in Egypt and Iran. The gallery wanted to engage Nottingham’s activists and protest groups to provide a local context for the show. 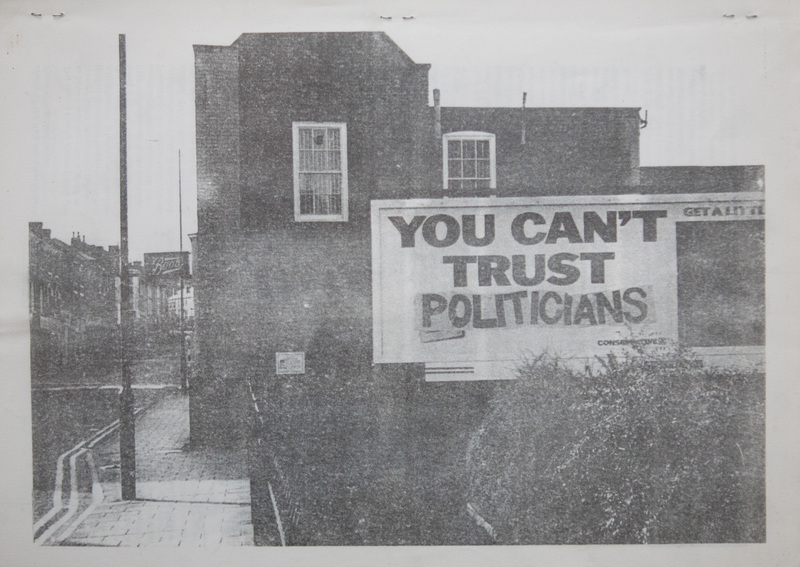 Alongside Kajal Nisha Patel, a Leicester-based artist, we had a brief to explore Nottingham’s rich history of political activism and connect that to the contemporary state of things. Such a commission was a minefield of potential representational issues. Problematic areas we found in social practice and participatory art ranged from addressing structures and hierarchies within art’s institutional apparatus, the authorship and political positioning of the artist and authentic representation of political and social struggle. We needed a critical approach to this commission and so I decided to base my MA Research Project on this very subject. 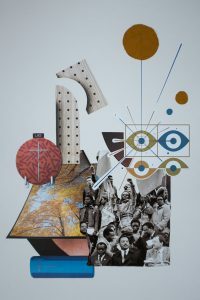 Through the research, we broadly addressed the history of art and politics from Dada up to the present as a way of revealing how artists, activists, theorists and institutions have typically tackled some of the complex questions that arise from this form of political agency. Do visit the display if you have the opportunity! Thanks Sunil.